Impressive designs for Battersea Power Station's new six-acre pubic park have been unveiled. The latest images show that the park, which was designed by LDA Design, will include event lawns, play spaces and river garden terraces. The park secured detailed planning consent earlier this year and will open in phases from 2017. The green space covers an area the size of almost three and a half full-sized football pitches and will connect the Power Station, Circus West and Phase 6 to the River Thames. There will even be a riverside promenade at the foot of the garden terraces, as well as two lawn-level 'belvedere' spaces (architectural structures which take advantage of a scenic view), along with traditional park features and London street aesthetics. For Battersea residents, the park will be a massive boost to the area, ensuring that daily living becomes more pleasant. The space will also provide a place to host large festival-style events and theatre shows. An outdoor cinema and street food event have already been held in the park, plus the Totally Thames festival, where the façade of the Power Station was transformed by a Fire Garden in 2014 by internationally-renowned French artist Carabosse. The aim of the park is that it continues to be at the forefront of the community, a place to come and experience cultural and entertaining events. Robert Aspland, board director at LDA Design, said: "The park will play a critical part in place-making, bringing the site to life, serving as a key backdrop for the iconic Power Station, and hosting everything from weekly markets that are known round the world and outdoor cinema screenings, to more informal picnics and lazy Sunday afternoons." Large-scale pieces of timber and steel will be used to build the park, and there will also be bleacher seats and black concrete steps. This is a reference to the coal which used to fuel the power station. Timber will be used in the deck areas for the riverfront promenade and heritage items from the Power Station are being incorporated to create a unique setting by the river. In contrast, softer materials will be used in garden areas, with trees providing structure and texture, and movable chairs will be located throughout to allow the public to make full use of the garden spaces. 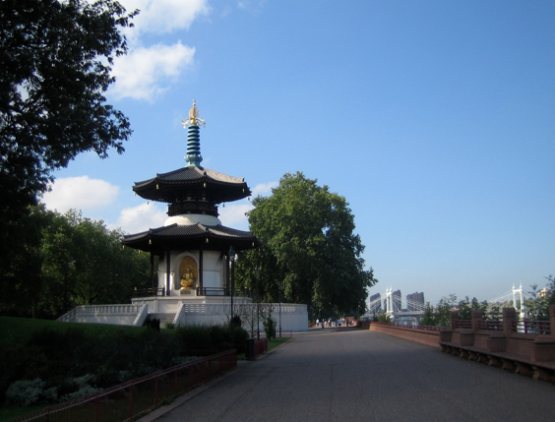 As Battersea soars in popularity, this park can only add to its appeal. Families and young professionals alike are flocking to the area, and the prospect of extra green space can only strengthen its attraction. Buyers seeking larger properties are snapping up homes in Battersea because they offer better value for money than Chelsea, and SW11 is improving all the time when it comes to entertainment, culture and convenience. The extension of the Northern Line means the area is more 'connected'. If you're interested in renting or buying property in Battersea, make sure you contact our friendly team for more information.